Dr. Terry Song was born in Seoul, Korea in 1976. He moved with his family to the United States to Glendora, CA in 1991. He attended Glendora High School and graduated with honors in 1994. Soon after graduation he attended UC Berkeley in Berkeley, CA and completed with a Bachelors Degree in Molecular and Cell Biology. 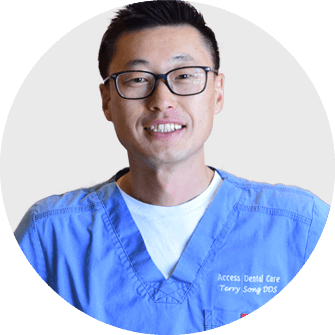 In 2001 he went onto New York University College of Dentistry, where he met his wife doctor Soonjin Park, and completed a one year residency at Peninsula Hospital Center in New York. In 2007 he moved to Arvin, CA and practiced dentistry for one and a half years before relocating to Reno, NV and working as an associate dentist for four and a half years. Now he is proud to have his own practice located in South Reno, Nevada. He is currently accepting new patients and is eager to welcome you and your family. Jaqueline first entered Dr Songs office as a patient after being referred by one his old assistants when she was 19 years old. While continuing her dental care with Dr Song, he inquired about her past experience as a receptionist and fortunately she had a year under her belt. After a couple of months of training she joined the staff in January of 2016. 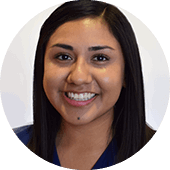 Working front desk, she enjoys meeting new faces and helping patients understand their treatment and options. During her pastime, she enjoys being active and trying out new things. She has a Rottweiler named Rocky who she deeply adores and loves going on hikes with him. If it’s summer she’s more than likely enjoying music festivals or the outdoors gun range. If its winter she’s either hitting the slopes or staying warm with friends/family. She’s currently on her path to get a bachelors degree in marketing and her intent is to continue working hard for a bright future. 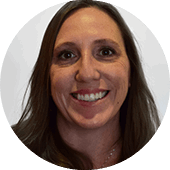 Andrea has been working as a dental assistant and has worked in the dental field for 11+ years. She enjoys getting to know the patients and providing them with the best care they can receive. It’s a pleasure for her to ensure that each visit is a positive experience. She has had the pleasure of working with Dr Song for 8 years as his right hand dental assistant. Working with Dr song has made her more passionate about her career while attending continuing education seminars that lets her expertise stay current. A California native, she has lived in Reno since 2004 with her husband of 22 years. She enjoys spending her time with her family/friends and fury animals Daisy and Tyson. One of her favorite things about living in Reno is the beautiful lakes and mountains that enable her to go out and explore, along with camping, fishing and four wheeling.